Terry Pratchett moved to a village outside of Salisbury in 1993 and lived there until his death. 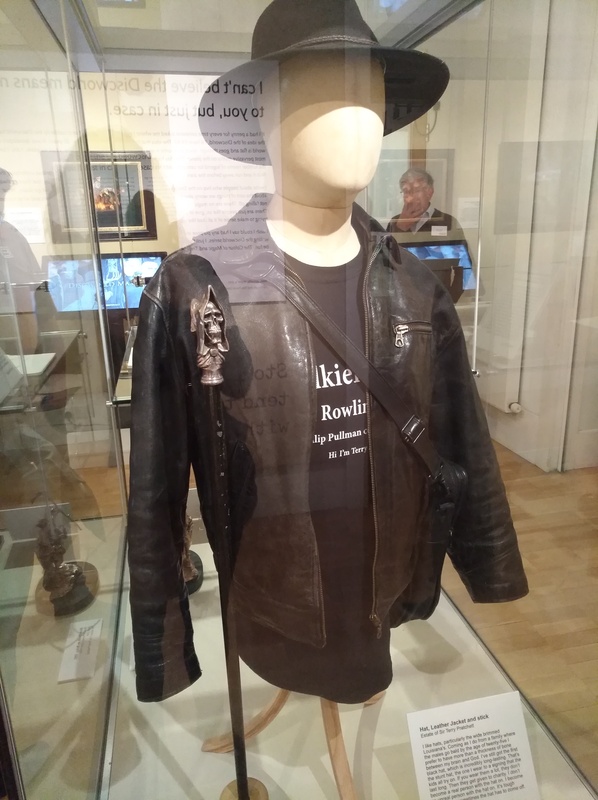 The Terry Pratchett: HisWorld exhibition is all about his life and full of personal items. 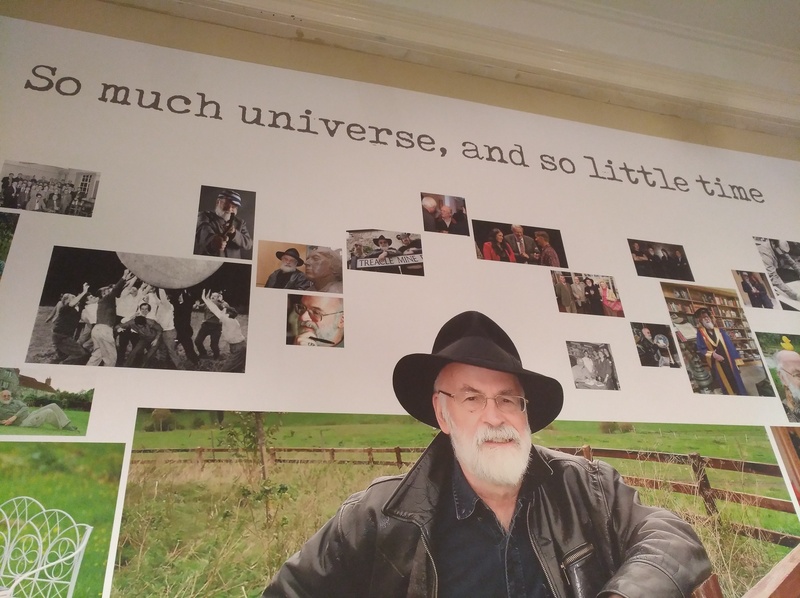 Given his worldwide fame, it’s not surprising that people have come from around the globe to visit this exhibition about Sir Terry Pratchett’s life. A museum employee said they’d had people from Russia, Australia and the U.S. 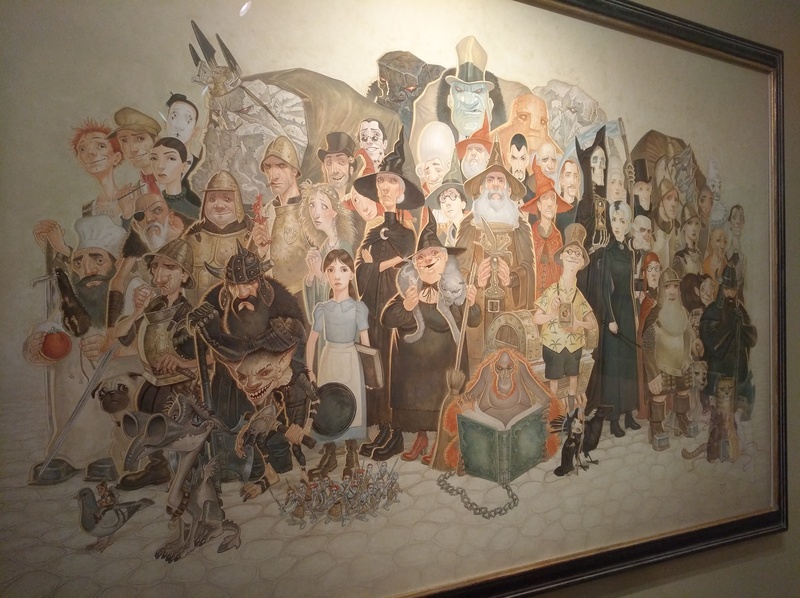 The organisers of the exhibition allow you to take all the photos you want, so I took plenty. But it seems only fair to post a taste of what’s there – if you can, I would visit yourself. 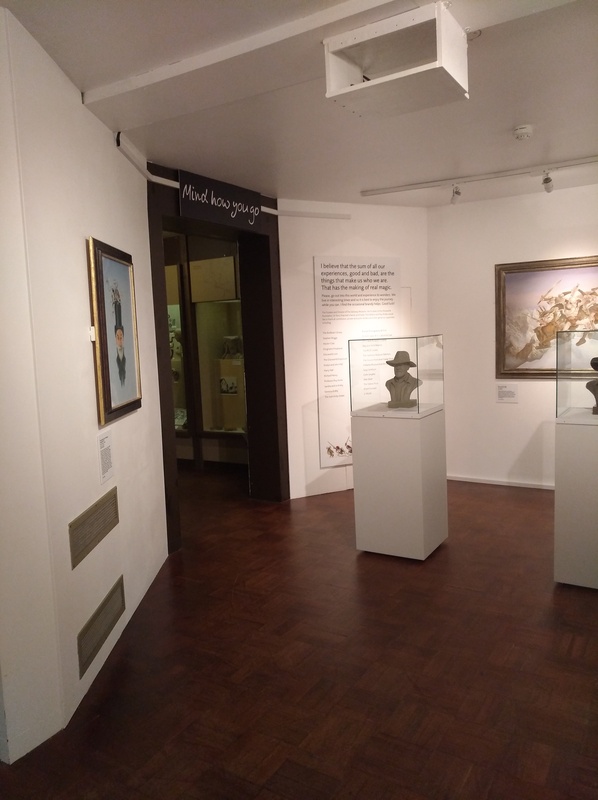 The exhibition is small but perfectly formed and chock full of mementos, pictures, paintings, books – even a recreation of his study. 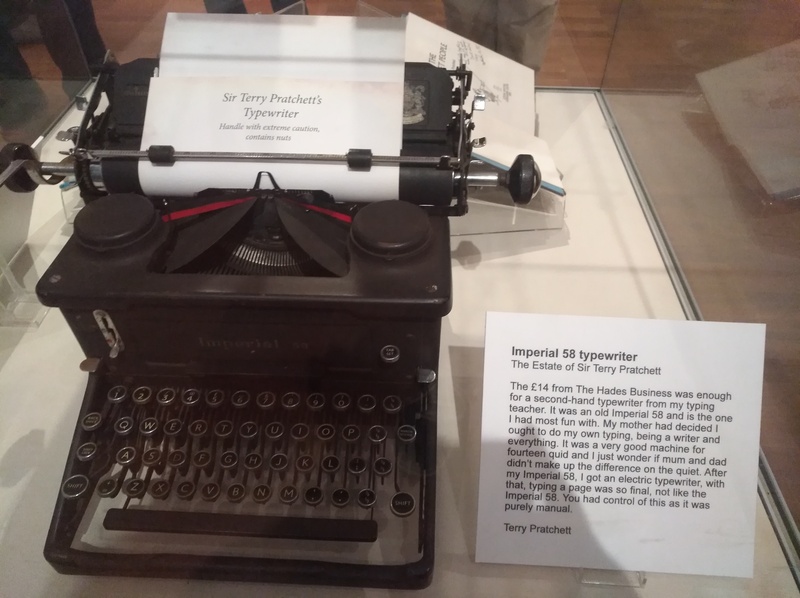 You can see Sir Terrys first typewriter, his famous leather jacket and fedora. 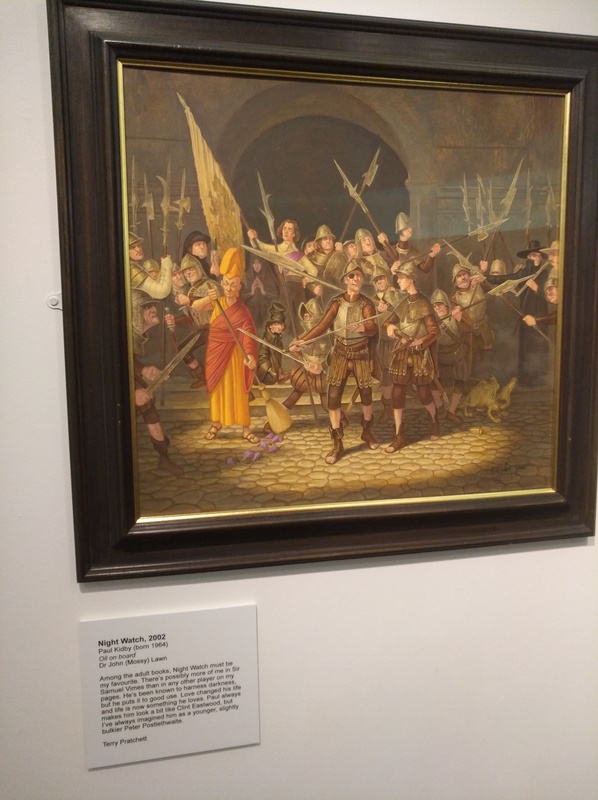 I’ve spoken about how much Sir Terry has inspired me, so I guess it’s not surprising that I got a bit emotional seeing all these items so connected to him. I’m so grateful I was able to go. After you’ve seen the exhibition, take a look at what else the museum has to offer. The ancient history section is particularly good, full of finds from the all around Wiltshire. And I got a lovely book as a souvenir. I can’t say anything more except – go! I Love Neil Gaiman and Terry Pratchett – So why don’t I Love ‘Good Omens’? An incredible writer, it is such a shame he has passed over. The museum looks wonderful, may have to try and get over to see it some time. It’s a fantastic exhibition, you can almost feel him there, watching over it.